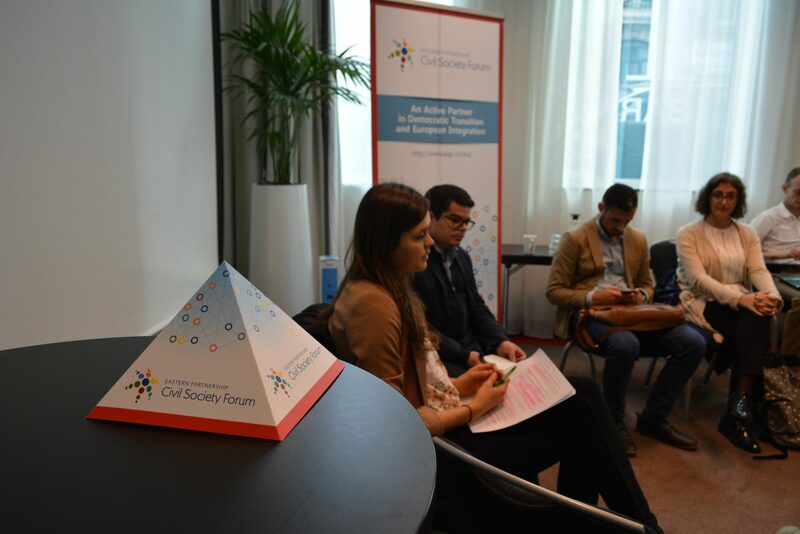 On 12-13 September, Eastern Partnership Civil Society Forum (EaP CSF) Working Group 3 “Environment, climate change and energy security” held their annual meeting in Brussels to discuss new EaP architecture, Internal Reform and upcoming changes to the Forum. This was also a chance to break into smaller groups and look at specific issues affecting the EaP region. The discussions gave way to a list of recommendations on topics such as environment, transport, energy and energy efficiency – which were presented to the EU stakeholders, invited to attend the meeting on the second day. Members also had a chance to attend a training session, aimed at improving communications skills and delivering messages to stakeholders. Opening the meeting, WG3 Coordinators, Ina Coseru and Ana Otilia Nutu highlighted EaP CSF’s role in the new EaP architecture, particularly within EaP Platforms and Panels. The Internal Reform is a crucial step in realising its full potential. The proposed Code of Conduct, which generated some questions from the floor, will make new structure more transparent and accountable to members. Reporting from their home countries, members agreed that civil society is increasingly recognised as a stakeholder in discussion around environment, as shown by the experience of Belarus and Ukraine. Unfortunately, state agencies in the region more than often lack institutional power and resources. Angela Bularga (Programme Manager for Environment, Growth, Better Governance, DG NEAR) welcomed the civil society component at the upcoming Ministerial meeting. Bularga was also keen to hear the group’s position on hydropower and suggested linking future EaP CSF re-granting projects to EU flagship projects. 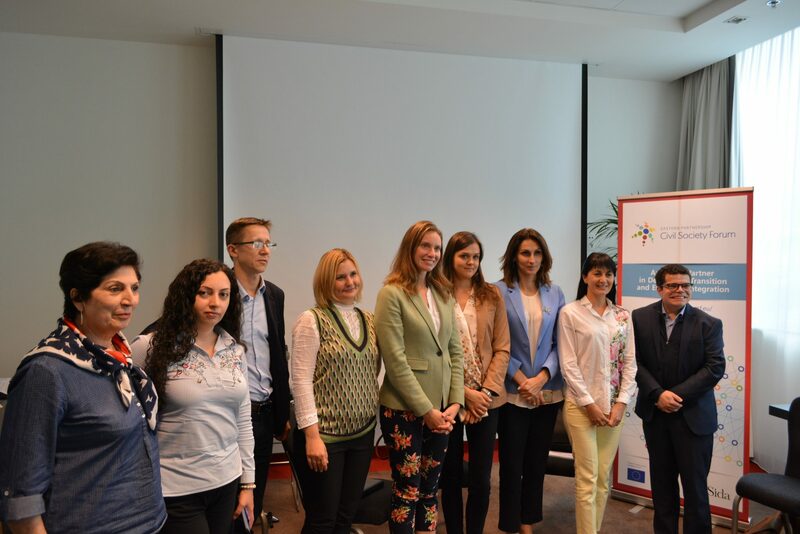 Veronika Liskova (International Relations Officer at DG MOVE) and Antonio Nunez (Senior Transport Specialist at the World Bank) both concentrated their attention on road safety and were receptive of the group’s recommendations. Liskova acknowledged the area as a priority, especially in the context of changing road-user behaviour and education. Nunez added that the role of civil society is to guide decision-makers – does not only extend to road safety, but also issues such as decarbonisation and improvement of infrastructure. Finally, Marion Schiller Probst (International Relations Officer at DG ENER) called for more transparency in the energy sector and addressed the group’s concerns around interconnectivity. 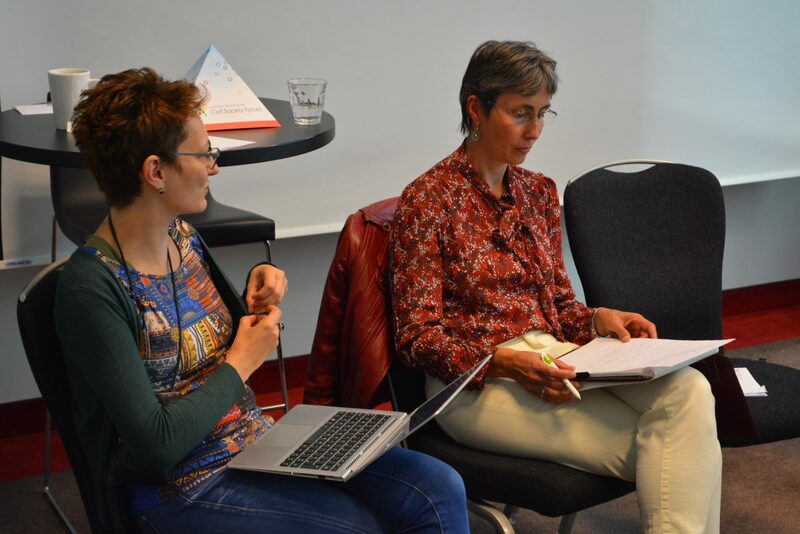 Closing the meeting, Ina Coseru and Ana Otilia Nutu looked at different ways of making future sessions more participatory. The expectation is that WG3 will grow to include 30 members in the upcoming cycle – doubling in size, meaning that it will need more capacity to continue its activities. The debate will be taken up again at the 10th Annual Assembly in Tbilisi, Georgia (10-12 December 2018).